Changes are part of life. This is no different in business or in the world of sport. Vidi have gone though plenty of changes and development within Hungarian football in recent years. That is also thanks to the working relationship with our partners. New situations always spring up and this is the case now. There is a chance to move up a step and it was never a question for me that we need to make that step. The change in the future is also the key to success. Why was there a need to change the name? Serious plans involve serious money. Vidi have shown in recent years that they are capable of renewing and reaching results. However, we did need the backing of MOL to achieve this. They have been behind the team for 8 years now as main sponsors and we have achieved serious success domestically. We want more now.  MOL are the only real multi company with a Hungarian HQ. The company has shown on the international stage what they can do and we would like to do the same. The task is for Vidi to continue to strengthen and have a realistic chance of qualifying for the group stages of European competition each season. This means that the more backing we receive does result in MOL wanting more in return. The same applies with the supporters as well. 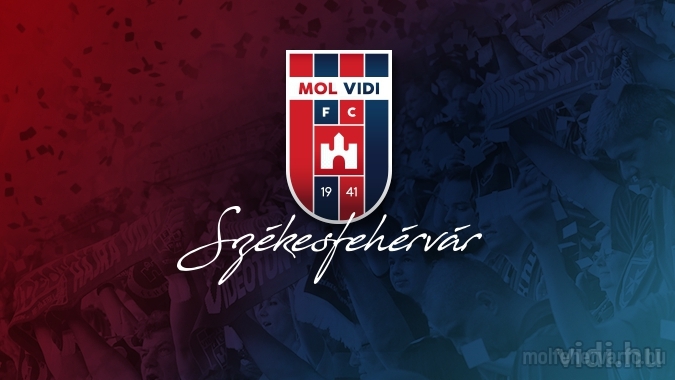 Were you worried about changing the name of Videoton? Yes and also no. The name of Videoton was "brought" back by me when I bought the club after a long battle. It was important for me and I promised this to the supporters. That name has grown closer to me since over the last 10 years. You also have to see that you cannot have two company names within the name of a football club. Especially when one of those pays for the privilege of having a name and the other doesn't. The agreement with Videoton was not a sponsorship or working relationship. The company Videoton either back then or since has never paid for the name or wanted money in return to use the name. Videoton is not a sponsor but at the same time, their name appears as if they would be one. The actual Videoton Holding have given their backing to this change of name. We have put in so much since reverting back to that name in 2009 so that we could rebuild the football club and be where we are now. I would like to thank them and they will continue to back us in the future. What will the supporters think about the change in name? That Vidi will remain Vidi? It is not only the supporters who have nicknamed the club Vidi but the whole country. We are not breaking away from our roots or traditions and our identity will remain. I hope that in time they will see: that the club is taking a big step towards being successful in Europe. I want them firstly to be happy with our performances on the pitch. This club for me has always been Vidi and will remain Vidi. So why now for leaving Videoton out? This has not only come up now. It was in the air back in 2009 that in order to be successful long term, we would need a sponsor that would stand beside the club, which would mean serious money being paid. How long will this new backing last for? Both parties are thinking long term. Such a working relationship cannot work in any other way. This gives security to all and I include the supporters here. I am thinking in a perspective and I hope that the results will quickly come. The long term will only work if both sides can calculate. MOL have given us their support over the last 10 years based on the performance. Now we will have to show that we deserve this. I would like to stress that the working relationship remains based on the performances, the good atmosphere within the club, the players, supporters and finally myself as the owner. What will happen now? Will the name be changed everywhere? Yes, the signs and items to be printed will change. So will the clothing that the team will wear to name just a few important tasks. At the same time we will need a little time to make this work on all surfaces. The players will wear the new shirts in the Champions League this summer for example. The aim is that this change will appear everywhere from the summer of 2019. What other teams will be known as MOL Vidi FC besides the first team? All of the teams within our club will play under the new name in the domestic leagues. How much will the image change? Will there be a new club crest and new shirts? The crest of the club is not changing, but only the name and the actual colour and font type. We are keeping the traditional badge but the name of MOL Vidi FC will appear on it. The new kits will be available from the VidiShop. You said that you want to qualify for the group stages each year. How much more of a reality has that now become? The increased backing opens up new possibilities and we can continue to further strengthen the team. This will be in terms of finance and professional support. I feel that the chances of reaching the group stages has now increased. In fact, this will be the main aim for us to qualify each year. Is the list of new players ready for team strengthening? Will there be players leaving over the summer? It has been a good season. We made it to the play off's in the Europa League and also won the domestic league championship. That has resulted in there being serious interest in some of our players. If a suitable offer comes in, we will look at it, but we will not be making any rash decisions. How will decisions be made regarding players being sold? There has never been a more stable professional background at our club in the last 10 years as there is now. Our playing squad is stable and so is our coaching staff. We are all together as one. This all gives us hope looking ahead to the new season. Keeping players will also be important in this situation. Is there a plan in place to lower the age of the team? Yes. We have already brought in two of the most talented young Hungarian players to Vidi. We also have more on our radar. We have given ourselves 3 years to lower the average age of our team and make it a young team. Naturally we also want to rely on our experienced players who will give their winning mentality as an example to the others. There is no doubt that the team are looking ahead to a serious task. It is not by accident that they are working very intensively at the training camp in Austria at the moment. We will play Champions League qualifiers on the 10th and 17th July, while the domestic NB I league will kick off on the 21st July. The games will be coming thick and fast for the players. The coaching staff are preparing them in a very professional way. The sudden death of Ferenc Kovacs affected everyone. Yes, it was poignant. It was a great honour to work together with him and his name was sewed into Videoton FC. Videoton broke into myself in the 80's and he had a major part to play in this. I decided to come into football in 2007 and it was through Vidi that I made this. I told him my plans back then and he encouraged me to make them happen. We were disappointed and also delighted together. This applied to the first time we won the league title. We have been champions three times in the last 10 years and finished second 5 times. He always gave strength and optimism to everyone. His death has brought an end to one era. I am sure that the memory of Ferenc will give strength and optimism to all as we go into the new era. What is your message to the supporters? Thank you for your support and for being fantastic supporters. We are counting on you and we know that an even more exciting and successful period lies ahead of us.